David is one of the most recognizable fishing personalities in Canada as well as being a noted tournament angler. He is a multi-species angler who has won numerous bass, pike, perch & crappie tournaments and can boast of multiple, angler & team of the year titles. On the hard water, David enjoys targeting all species, including Lake Trout, Whitefish, Walleye, Herring, Yellow Perch, Crappie and all other panfish. 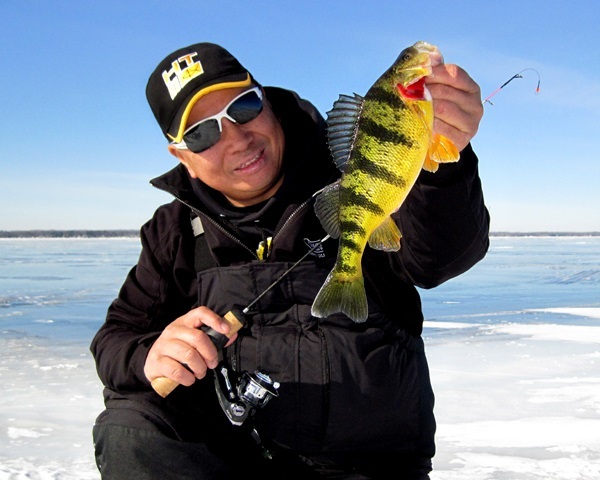 He is most at home pursuing the famed Jumbo Yellow Perch on his home body of water, Lake Simcoe.